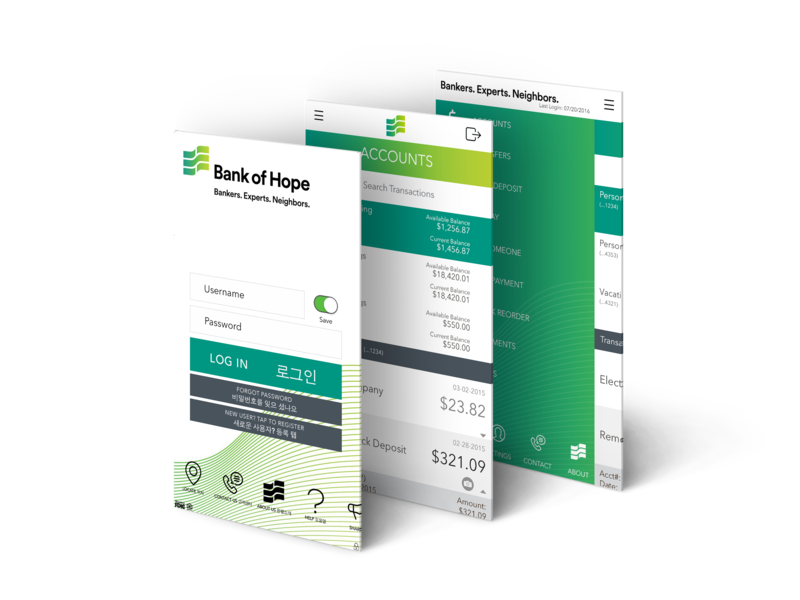 Bank of Hope is the merger of BBCN Bank and Wilshire Bank and also the largest Korean-American bank in the United States. 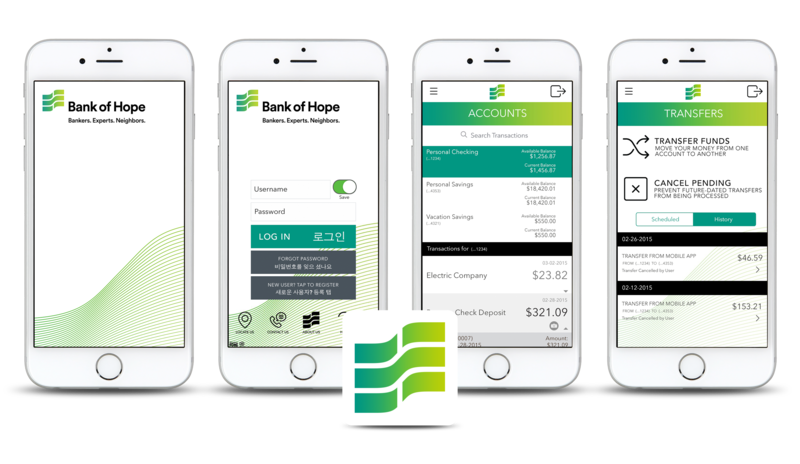 It was important for them to offer their customers a bilingual app that is easy to use and provide them with an effortless banking experience. I was responsible for designing their iPhone, iPad, Apple Watch and Android apps using Malauzai’s framework. The use of white space paired with line icons allows the user to easily navigate through the app by detracting from the amount of information on the screen.